Made In Our Indiana Shop- Free Shipping! 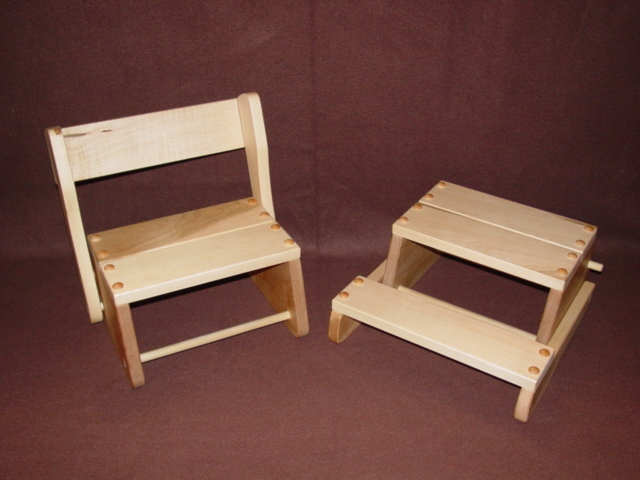 Every child needs a little help getting up in the world, and this wooden step stool hand made in our shop is the perfect answer. Ready to give your child a little boost in learning to brush his teeth by himself, and become more independent, this step stool will quickly become a necessity in your child's growing-up. When in the up position it measures approximately 13" x 10" x 14" high (back when in upright position), with the step being 3" high. Ours is beside the window so the little grandkiddos can always look out to see what's going on. This can also be engraved with a name and birthdate. If you want it engraved use the the drop box below.